Their Fortec Hub is situated in the ‘Golden Triangle’ at the heart of the UK and is supported by their Northern Hub in Warrington, both offer the best connections nationwide. 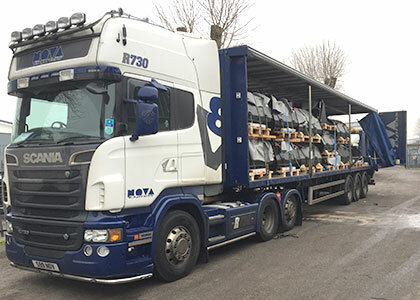 Fortec pallet network is built on experienced, well established transport and logistics companies, each chosen for their professionalism and commitment to providing excellent customer service. Fortec expect a lot from our depots and they achieve it, maintaining our high delivery rates every day.